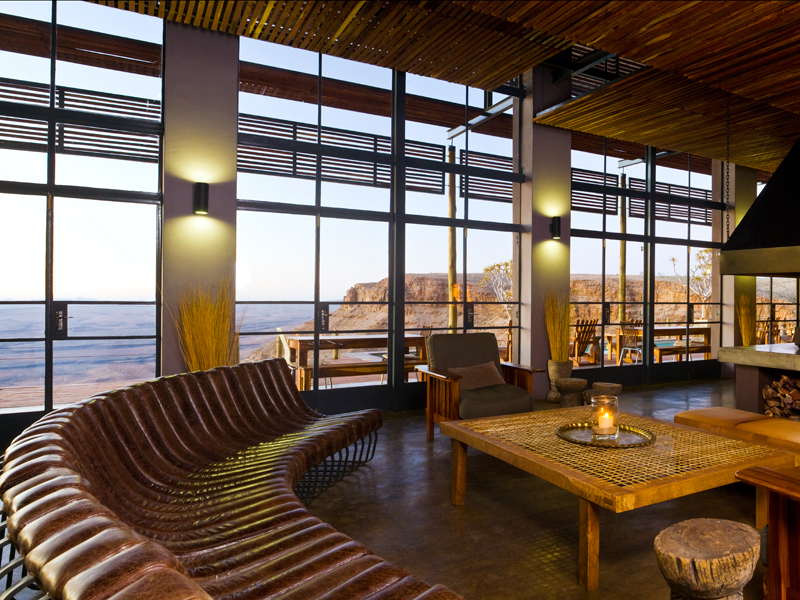 Dramatically set on the very edge of Namibia’s Fish River Canyon, the views you’ll get at this chic lodge will take your breath away. 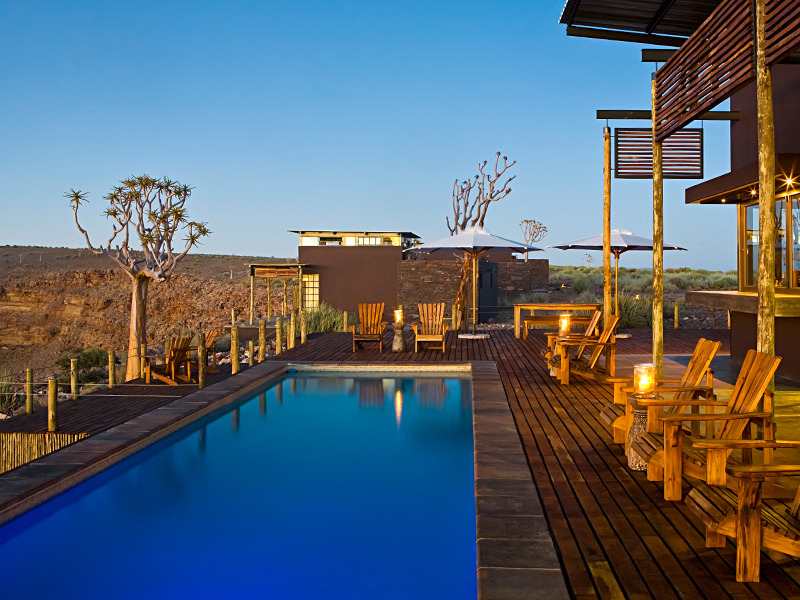 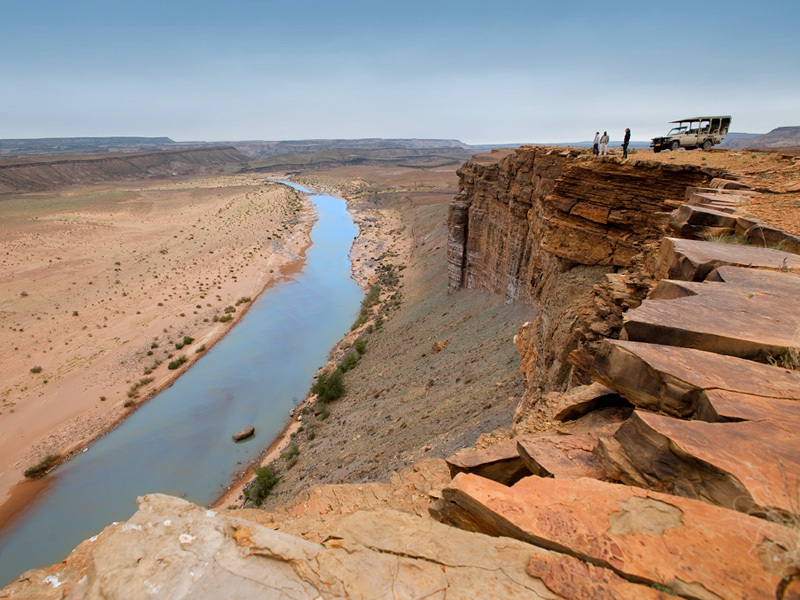 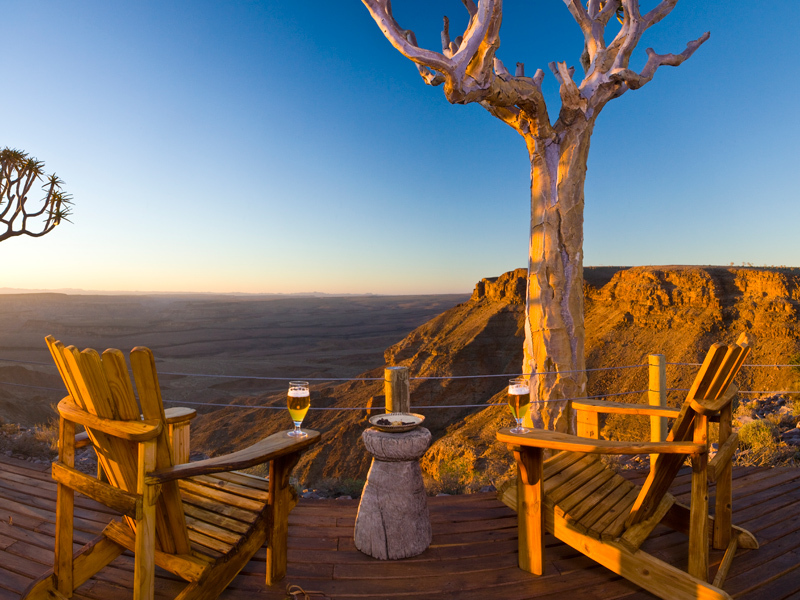 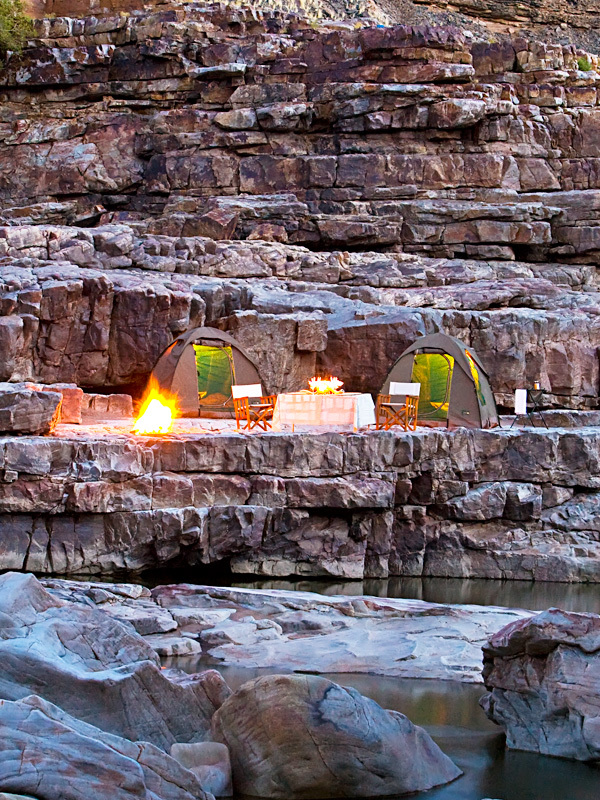 It’s worth staying at Fish River Lodge during your tailored holiday to Namibia simply for the chance to drink in stunning sunrises and sunsets over the canyon and its unusual rock formations. 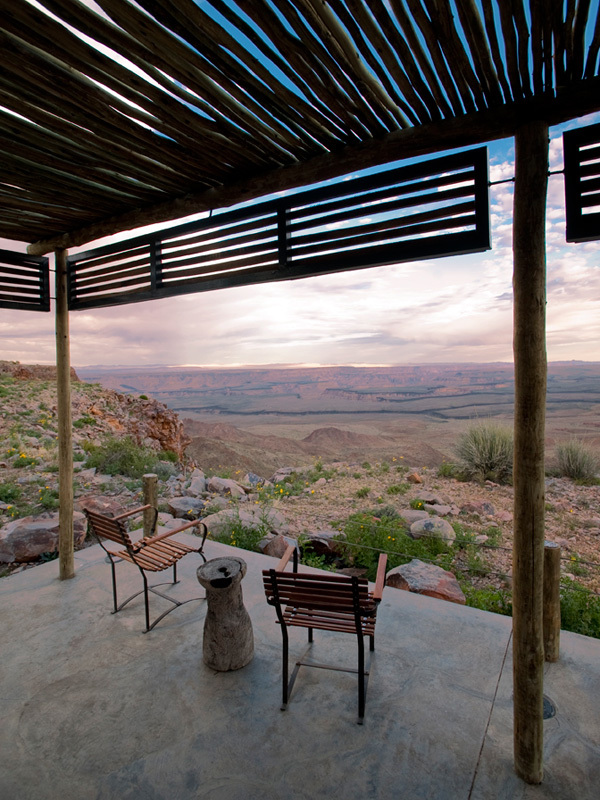 But great vistas aren’t the only highlight of a stay here. 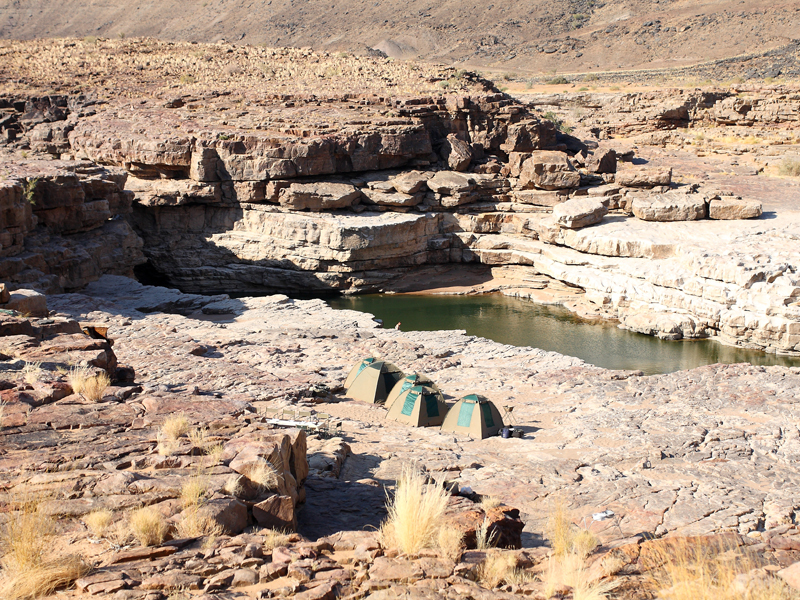 Guests enjoy exclusive hiking opportunities and 4x4 excursions in the surrounding reserve – a chance to spot desert wildlife like oryx, springbok, klipspringer and mountain zebra – as well as fat bike and cycling tours. 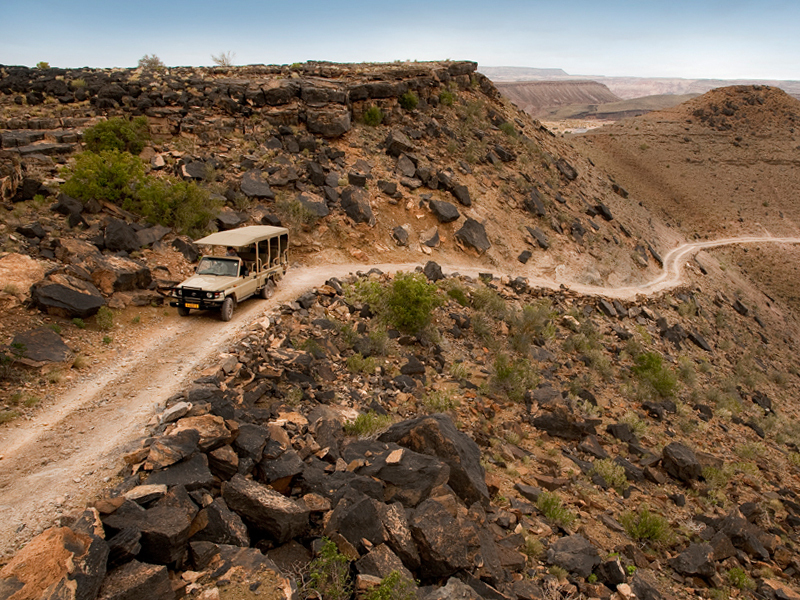 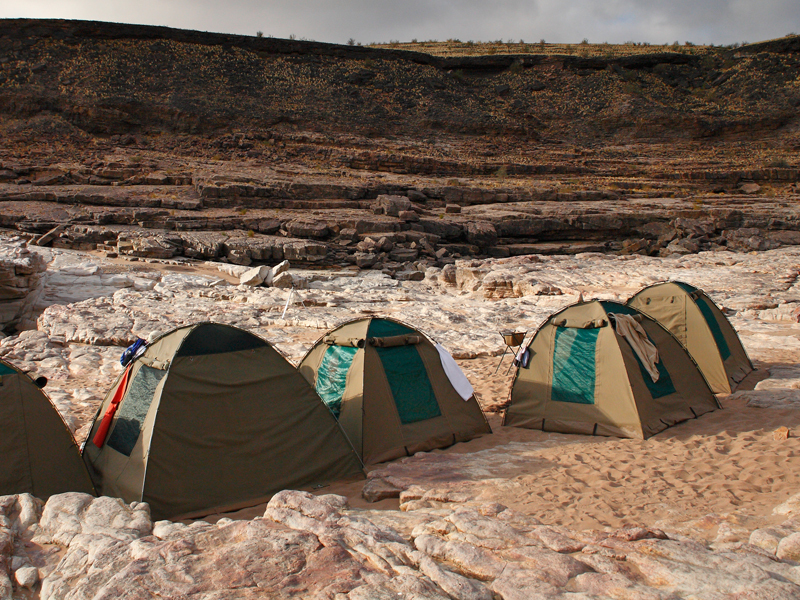 Activities are led by expert guides who will reveal the area’s fascinating geological history. 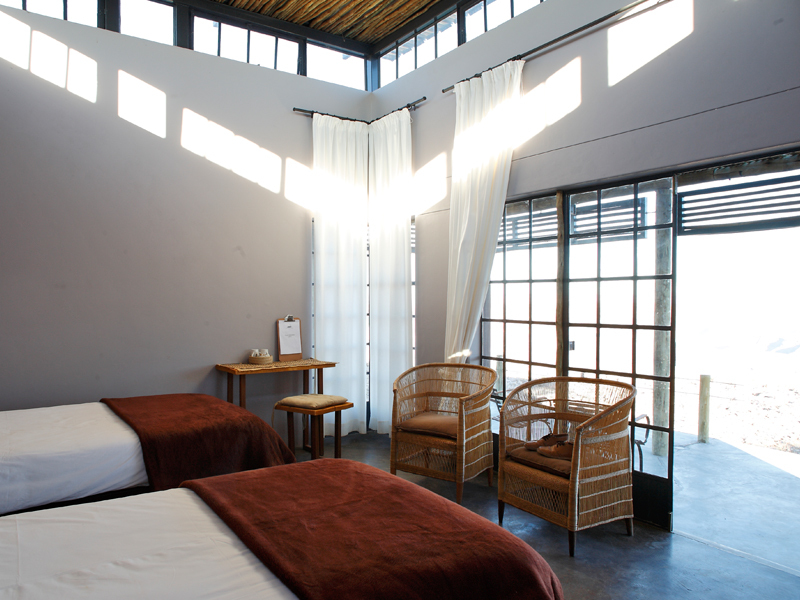 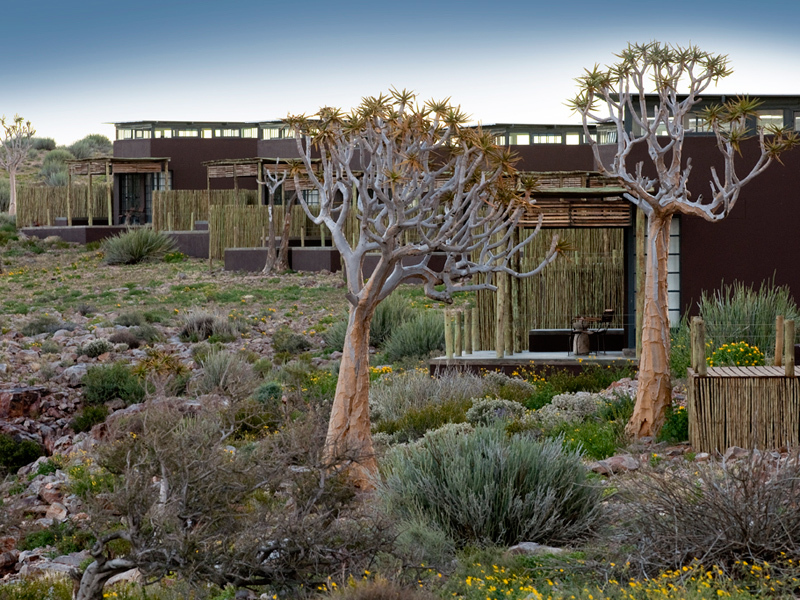 The lodge’s contemporary design and architecture are inspired by the rugged beauty and starkness of the surrounding landscape, combining designer furniture with local handicrafts. 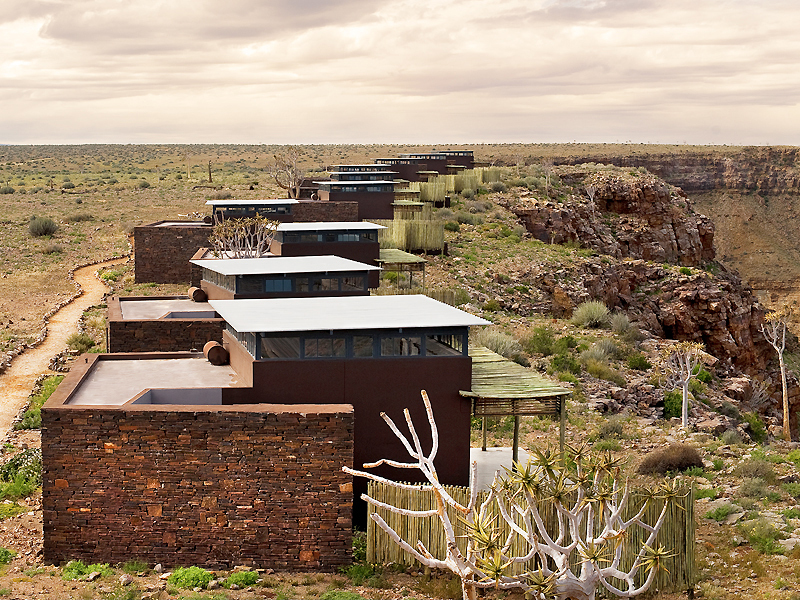 Accommodation comprises twenty modern, stone-walled chalets, all dotted along the canyon rim on either side of the main lodge. 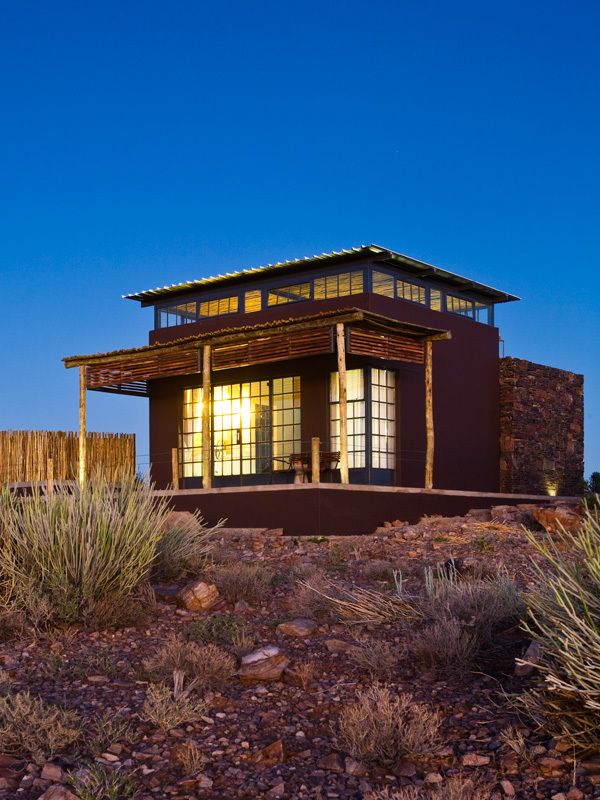 Each has a deck, large bathroom and outdoor shower, in addition to an outdoor platform that’s perfect for sleep outs under the stars.